When I woke up this morning I opened the curtains to find a thick blanket of fog covering this seaside town. Fog transforms the aesthetic quality of the landscape and I knew I had to get outside straight away to shoot some images. The last series I shot in Lytham St. Annes was when it snowed back in December (The Big Freeze) so it was about time I went to see what else I could find. 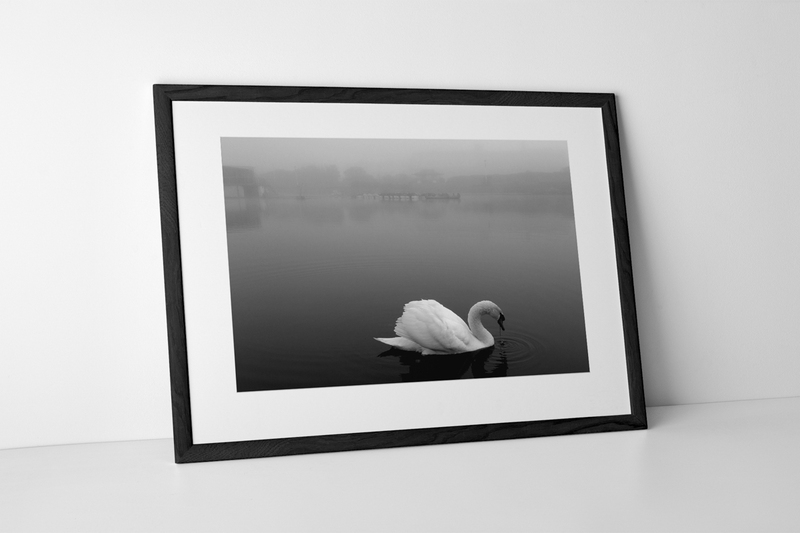 This photograph of a swan on a nearby lake is one of my favourite images from this morning and made the whole photo-walk a success. I shot a little over a hundred images all along the promenade and beach, but I knew from the moment I pressed the shutter that this photograph was the one I’d feature first on this blog. Limited Edition Prints by Yannick Dixon Photographic Works are the perfect way of starting an affordable art collection of your own or as a gift for that special someone in your life. These highly collectable signed prints are numbered and professional printed to the highest photographic standards using the Giclée printing process. If you like this photograph please share it with your friends and followers online. For example, click the Pinterest icon to add this photograph to one of your boards! As always, if you have any questions or wish to leave a comment I’d love to hear from you. 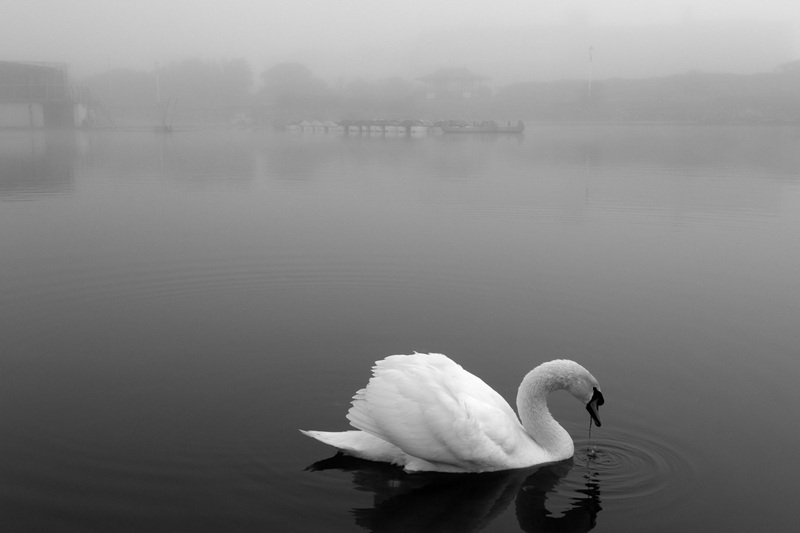 This entry was posted in Nature and tagged Black & White, Fog, Lytham St. Annes, Swan, Wildlife.